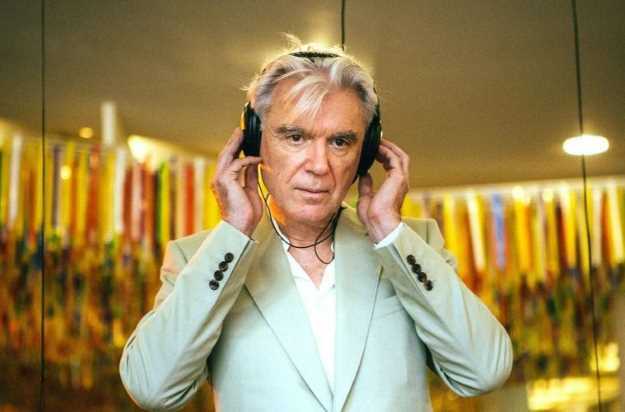 David Byrne has thrilled his legions of fans by announcing that there will be a new album for us all to obsess over very soon. The new LP American Utopia will be, 9th March and is the first new piece of music since his 2004 release Grown Backwards, excluding his joint work with St. Vincent on 2012’s Love This Giant. The new album features collaborations with Brian Eno, Rodaidh McDonald, Oneohtrix Point Never, Jam City, Doveman, Jack Peñate, and more. Judging by this new track it’s set to have all the rhythmic swagger we know and love about Byrne’s work. It’s funkier than Bootsy Collins holding some camembert. Take a listen to ‘Everybody’s Coming To My House’ below and get ready for the new album. But before that read the (lengthy) open letter which accompanies the news from the man himself. “Is this meant ironically? Is it a joke? Do I mean this seriously? In what way? Am I referring to the past or the future? Is it personal or political? These songs don’t describe an imaginary or possibly impossible place but rather attempt to depict the world we live in now. Many of us, I suspect, are not satisfied with that world – the world we have made for ourselves. We look around and we ask ourselves – well, does it have to be like this? Is there another way? These songs are about that looking and that asking. America, or to be correct – the United States – was founded as a utopian experiment. One can point out that yes, there were less than noble business interests at play, and this experiment applied only to white males of means, much of which is still true. Clearly there was poison in the well, and much of what was built was built on the backs of slaves, with half the country disenfranchised. There was genocide, exploitation and land grabs. But I’m talking about perception, which is different than reality. The perception was (past tense) that here might be a new way of living, of cooperating with one another, even if the experiment was being played out only by a portion of the population. The rest of the world, for a long time, viewed the American experiment as exciting, noble and something to be emulated – at least in the ways it succeeded. It was viewed as a fresh start, a place where old, ingrained ideas could be jettisoned, and a world of both fairness and opportunity could be established. Though it never did succeed in all its aims, enough of them were realized in its brief history to give hope to many. Now it seems – in this place, and in others – we are seeing those dreams, those possibilities, being withdrawn. The experiment seems on the verge of complete and utter collapse. So naturally, we now ask ourselves – was it too much to ask? Were we wrong about how humans can be? Can we start over? Is there another way? A different way? Do we have any choice in the matter? This asking is a good sign.